Facebook has had a rule which limited the amount of text in an image in a Facebook Ad to no more than 20%. Any image which exceeded that was automatically rejected by Facebook and it was a pain for marketers – but that’s all changing! 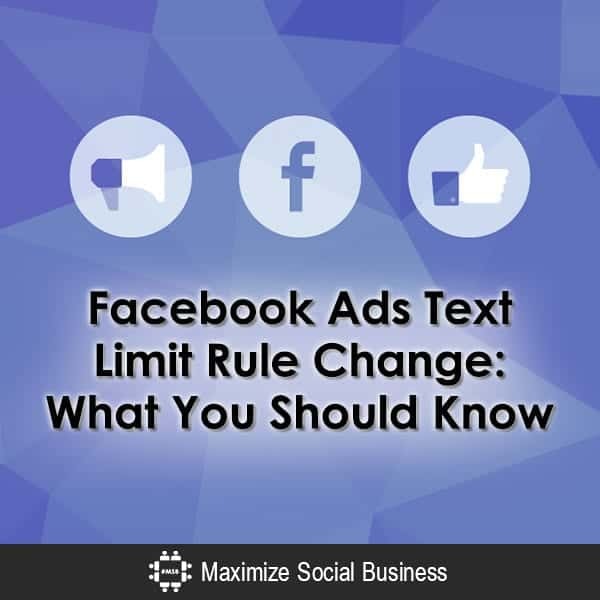 Facebook is taking into account the fact that the 20% text rule has caused a considerable amount of confusion and trouble for advertisers. They’re offering a solution which helps to eliminate confusion while at the same time avoiding text clutter which they say turns readers off. The 20% rule involved a 5×5 grid superimposed over the actual ad, and when more than 5 of the squares within the grid had text, the ad was rejected without further consideration. Eventually, advertisers figured out they could strategically position the text, so it didn’t take up 5 squares of the overall ad. By compressing the text into fewer squares, the rejection rule would not be triggered, and the ad would pass inspection. It limited the text, forced you to use the grid tool or an overlay to help you “position” your text and added time to the overall ad creation process. Often this was a pain because a logo could contain text or an image of a person with a t-shirt having text on it counted towards the 20% text. It was a pain for marketers! Facebook maintains that research has demonstrated that readers prefer ads with less text. So Facebook implemented the original rule to ensure readers had an enjoyable experience, and would not ignore ads. After receiving a tremendous amount of feedback from their ad purchasers about the confusion created by the 20% rule, they decided to seek a solution to satisfy all parties concerned. Too many ads were being rejected, (money was being lost!) so a policy shift was necessary to allow more flexibility in ad composition. Facebook will now not reject ads on the basis of text density. Instead, when reviewing ads, text density will be broken down into 4 different categories: OK, Low, Medium, and High. OK – is the preferred category for a Facebook ad. It consists of little or no text. Ad text is in a text box, removed or separate from the image itself. Low – is an ad image which contains a low amount of text, similar to what Facebook currently allows under the 20% rule. Even though it’s equivalent to what’s currently being run on Facebook, there will still be slight limitations on this ‘low’ category of included text. Medium – this category includes more text, possibly placed in several locations around the ad image which is considered to be slightly excessive by Facebook. High – as you might expect, the high category is considered by Facebook to have way too much text. The text obscures the image thus diminishing the experience for Facebook users. While none of the ads in these categories will be rejected by Facebook, there is a catch. Facebook will manage text density by imposing higher costs on less preferred ads, and limit the distribution and reach of those ads. Any ads in the ‘OK’ category would have a normal cost and would have full distribution on Facebook. Ads which fall into the other three categories would cost increasingly more and receive increasingly less distribution. An ad in the ‘High’ category would not be seen as much as an ad from the ‘OK’ category. If an advertiser wanted it to be seen, it would cost more. This manages text density by penalizing ads using lots of text by using cost and user reach as a deterrent. Not all ad images are subject to the new screening rule. 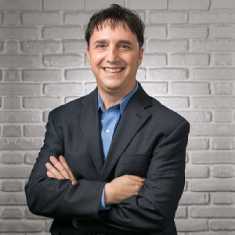 The exceptions include infographics, apps, and screenshots for video games, album covers, book covers, legal text, concert posters, event posters, movie posters, product images, and text-based businesses such as comic strips or calligraphy. Basically, Facebook’s system have gotten smarter and they can sort these out better! The odd thing about this new approach is that it may end up making things even more ambiguous for advertisers than the original 20% text rule. Under the old rule, all an advertiser had to do was impose a 5 x 5 grid over any given ad to determine whether or not it would be rejected. Facebook provided a grid tool for that purpose, and it could easily be used by an advertiser before submitting an ad. That grid tool has now been removed, and under the new guidelines, text density will be categorized by Facebook, and could fall into any of the 4 categories based on judgment. If the intent was to make approval and rejection more predictable, it would seem that the new approach leaves something to be desired in terms of clarity. Yes, the ad won’t get disapproved, but will it get valuable reach? Facebook does intend to replace the original grid tool with a new overlay tool that will tell you which of the 4 categories your ad image falls into. This will help you to decide whether you want to pay the extra cost and be subject to distribution limitations to include extra text in your ad. It will be possible to avoid much of the hit-or-miss approval by using Facebook’s own ‘Create Ad’ function or by creating an ad in the Power Editor, both of which will advise on which category the ad will fall into. If you don’t use either of these tools, you’ll have to limit the text in your ad image, or risk being seen by fewer viewers. There may not be a huge impact on advertisers who were in the habit of limiting text in ad images. But for those who cram in as much text as possible, you should expect to pay more if you want your ads to be seen on Facebook but at least you can get it approved and seen! What’s your take? Valuable or not? Thank you.. So how does this explain that my album cover ad was rejected because of “text percentage”.. How do I apply for this “exception” please?? thanks!